Check Out a Teaser from Defensive Play, Coming November 30! With only a few days to go before the release on November 30 of Defensive Play, my Boys on the Brink novella, I thought I’d share a little teaser with you all. 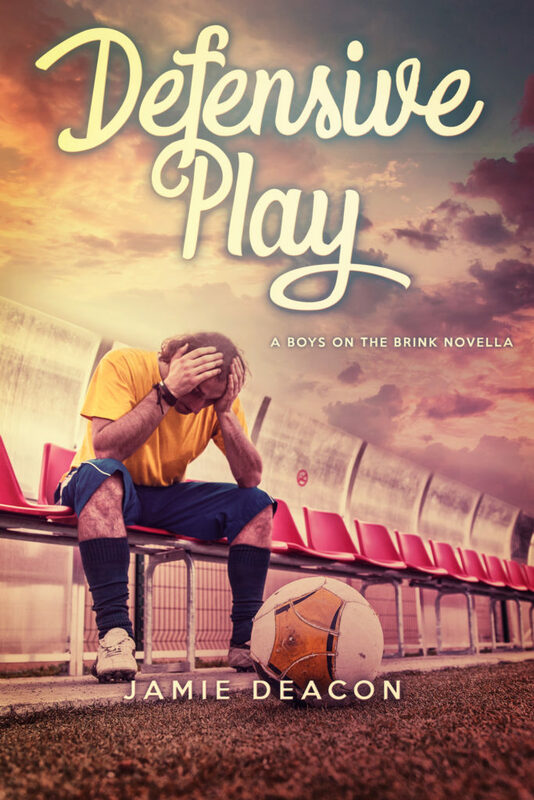 This excerpt actually comes from the opening of the book, set during the annual Brookshire football tournament, where seventeen-year-old Davey lays eyes on Adam for the first time, a moment which turns his precariously balanced world spinning. If you enjoy it, you can preorder your copy here. I’m walking onto the football pitch with the rest of my team when I see him. I stumble to a halt, boots skidding on the water-logged ground, and squint through the rain. Even surrounded by his teammates, all decked out in their royal-blue and yellow, he draws my gaze. There’s something barely suppressed about him—the way he’s never still, shifting from foot to foot, his stocky frame vibrating with a restless energy. The boy must be new. He wasn’t playing for The Buzzards when we came up against them last season. I’d remember. I should look away. If anyone catches me… Come on, Davey, get a grip. But once I start staring, I can’t stop, entranced by the muscular hardness of his thighs; the nut-brown hair plastered to his head; his shirt, drenched with rain and sweat, adhering to sculpted abs. And then he looks at me. The realisation slams into my stomach with the force of a penalty kick. Mud glues my studs to the touchline. I can’t move, can hardly breathe. There’s nothing accidental in that look. His eyes travel up my body, slow, deliberate, before connecting with mine. Find out more and preorder your copy! Previous Post Celebrate the Release of Defensive Play and Enter to Win an Amazon Gift Card!